The Decorative Female Musician Statue Playing Instruments with Antique Embossed Work in Metal & Wood boasts of truly inspirational design work, which makes it ideal Read More..for lending an air of unmatched elegance and regality to your home décor. 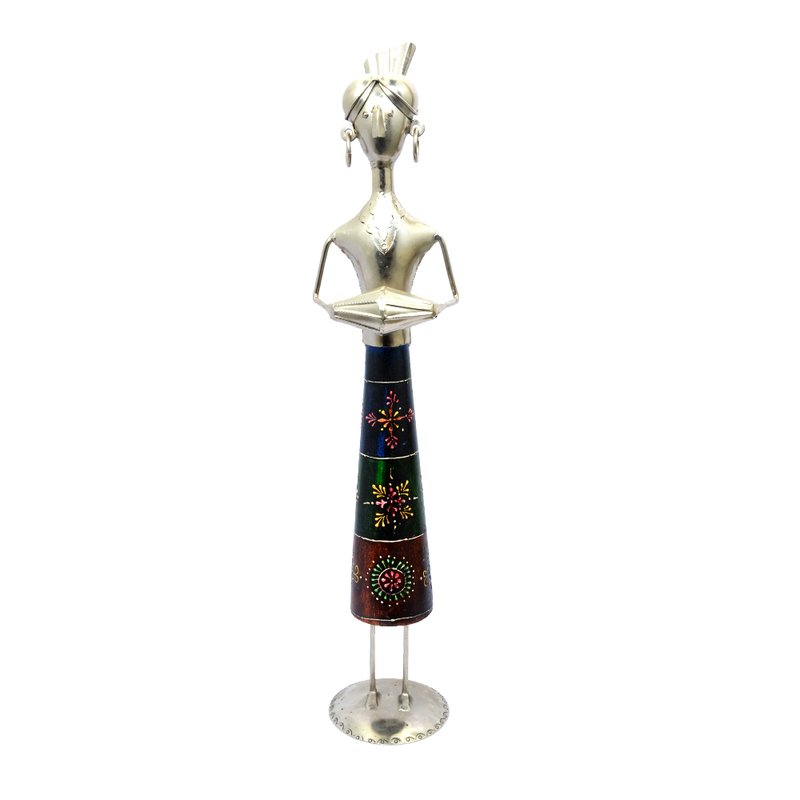 The bewitchingly beautiful antique embossed work present on the body of this statue made from wood and metal to suffice your yearning for owning aesthetically superlative pieces for home décor purposes. This statue is the perfect choice for announcing the elegance of your home décor without having to go over the top. Show Less..